Slingo lists some of the things he learned in dialogue with these young adults. What he discovered has implications for the church, not only in engaging young adults but in embracing a way of doing ministry that will renew the life of the church. First, we should “think and make connections across silos rather than within them.” Young adults have been brought up in educational and recreational venues where they have interacted with people of many races, cultures, and backgrounds. They don’t function well in “silos” cut off from the insights and experiences of others. To reach young adults and to enrich our own ministries, we in the church must reach others across barriers—denominational, ethnic, socioeconomic, and geographic—in order to learn from those with different backgrounds and experiences. This also is a challenge to the church to engage popular culture rather than attacking or rejecting it. The music, films, and other media that attract young adults have such a major influence on their lives that we cannot ignore it if we really want to understand millennials. Second, millennials “learn by doing, not just by listening and reading.” One thing that most churches have come to realize is that young adults respond well to opportunities to “get their hands dirty.” We must continue to offer such experiences not only one day a week or in week long mission trips but for extended periods of time. In so doing so, we must also provide young adults with the means of processing these experiences within community. Third, Slingo observes that millennials will gain new understanding by forcing themselves “to disconnect and just think.” The church is uniquely positioned to offer young adults training and encouragement to practice spiritual disciplines such as mediation, centering prayer, lectio divina, and solitude. These practices pull the digitally engaged generation apart to get in touch with God and themselves. Fourth, the author suggests that millennials should not “be afraid to ask even the simple questions.” Churches can provide small group experiences where young adults can freely seek answers to their questions about life, faith, and meaning without fear or ridicule or rejection. As someone said, “The only stupid question is the one you don’t ask.” Since we can no longer assume that any adult in the general population has a basic understanding of the Bible or the Christian faith, small groups with a non-judgmental, supportive attitude can provide a place to learn and grow. Fifth, millennials want to “see and learn from the world, today.” All of us, including young adults, need a global perspective. We gain this through travel and engagement with people from other cultures. In an era when the numerical strength of Christianity has shifted outside of the Western world, we need face-to-face interaction with believers around the world. Churches can both encourage and facilitate these encounters for all adults. As the church considers ways to effectively ministry to the millennial generation, the reward can be a more vital and engaged community for all believers. Along with over 78,000 others, I participated in The Global Leadership Summit of the Willow Creek Association on August 8-9. I was at one of the 269 Host Sites around the U.S. and Canada. A version of the Summit is now made available now in 100 countries during the months following the event through a combination of video and live presentations. First, Willow Creek Community Church, the “mother church” of the Willow Creek Association, does “big church” well, and they are transparent when they falter. The same spirit infuses the Summit. Second, the worship is always different from what I usually experience and that is not bad. I need to be “stretched” a bit. Third, the Summit organizers enlist some of the most creative and challenging leaders—religious, business, not-for-profit, political, and academic—for the program. I always come away with some fresh ideas and two or three new books to read. This year I was especially taken by two people that I had not heard before. Actually, I had heard one of Brene Brown’s TED talks, but the application of her research on vulnerability to a religious context got my attention this time. I look forward to reading her book Daring Greatly: How the Courage to Be Vulnerable Transforms the Way We Live, Love, Parent, and Lead. A thought leader that I had never heard before was Joseph Greeny, one of the authors of Influencer: The New Science of LeadingChange. Greeny and his team have done extensive research on the influences that motivate persons to change. His interesting presentation immediately got me to thinking how this applies in the church and not-for-profit organizations. Other speakers were familiar to regular Summit participants. Patrick Lencioni is an entertaining speaker, but his material this year was not new. On the other hand, I enjoyed hearing General Colin Powell who made a brief presentation and did an interview with Bill Hybels. 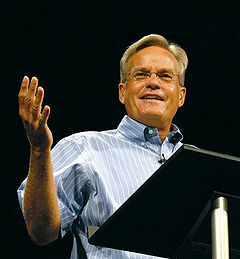 In Powell’s case, I also heard nothing new, but he is one of my leadership heroes, so I always like to see him on stage. His most recent book is It Worked for Me: In Life and Leadership. I have read it and strongly recommend it to anyone who is interested in being an effective leader in any type of organization. Bill Hybels gave the opening presentation and Andy Stanley the closing challenge. Hybels always comes across as a leader who is willing to share the struggles he has experienced over the past year and what he has learned from them. He epitomizes a “lifelong learner” to me. I have gained greater appreciation for Stanley as a leader and speaker over the last few years. His closing talk here was appropriate to the situation, but he has done much better in other contexts. I recently read his new book, Deep and Wide, and highly recommend it to all church leaders, regardless of the size of your congregation. As always, worship times were creative, upbeat, and inspirational. So I came away encouraged, inspired, informed, and with several new books on my Kindle. What more could I ask? Regular readers of this blog will note that on more than one occasion that I have shared my doubts about long range strategic planning. When major companies have adopted planning cycles of only six months, it would seem that the church, which is supposed to be responsive to the leadership of the Spirit of God, should be flexible in its planning as well. 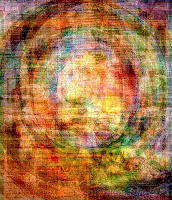 This does not mean that I think visioning and planning processes are unwarranted, but I do believe that such processes should focus on understanding the church’s ministry context, its resources, and ways to prepare its people for service that allow a rapid response to a changing world rather than developing inflexible action plans that may hamper ministry. Cates made a good case that “the servants are to be busy even if the master is not present.” In other words, are we doing the things that will please Christ and build up His Kingdom? What are some things that we can be doing as God’s people to not only keep busy until He comes but respond to opportunities to do His work right now? First, we need to be praying. In doing so, we pray not just for ourselves and for discernment about how to use each day for God’s service, but we pray that God will open our eyes to how we can help others and how they might help us to be what God wants us to be as willing servants. Second, “we need to be in the Word” as preachers of an older era often implored. This means careful studying of the content of the Bible but is also putting ourselves in a place where God can speak to us through scripture. We are certainly concerned about what the Bible said to its original audiences, but we must also realize that there is a fresh word for us in scripture today that will guide our lives and work. Third, we must discover our passions for service, recognize our spiritual gifts, and develop our skills for ministry. Like the servants in the parable cited above, we need to be dressed, awake and ready to serve when the opportunity arises. Four, we need to be open to possibilities, especially those that come when we least expect them. When I did orientation sessions with college students who were preparing to serve as summer missionaries, I always told them that rule number one is, “Be flexible.” No matter what we told them that their assignment would be, they should be prepared for it to change. They needed the mindset to respond positively when it did! “Keep your shirts on; keep the lights on!” Be ready for what God has prepared for you. This got me to thinking: “What are some ministry roles that might emerge in the next decade that will reflect not only changes in technology but the evolving needs of the churches?” Here are some ideas. You might want to add your own. 1. A “death with dignity” pastor would help churches to die with dignity. Despite their best efforts to survive, some churches need to receive permission to go out of operation. Christ promised that the “gates of Hades” would not overcome his church (Matthew 16:18), but He was undoubtedly talking about the universal church rather than its local expression. Churches are planted, they flourish and grow, and then it may be time for them to die. A trained minister might provide “hospice care” for a dying church, finding new homes for its members, guiding leaders to make good recommendations about the disposition of its resources, and celebrating its life and heritage. 2. A missional networker would work with a group of churches, perhaps from different denominations, helping each to discover the unique mission that God has provided. This would require assessing the gifts and assets of each congregation, discovering appropriate partners, and preparing parishioners for service. The missional networker would become the de-facto “minister of missions” for each of the congregations served. 3. A spiritual community director would serve as the abbot/abbess of an intentional spiritual community rooted in a specific setting—urban, suburban, or rural. Young adults are especially drawn to purposeful, intentional settings that will allow them to grow spiritually, serve specific needs, and learn from those experiences of service. They would thrive in such a setting. Much like the new monastic communities that are springing up today, these communities would be made up of people from a number of Christian traditions, so the leader of such a community must have a broad theological education, a faithful Christian walk, the ability to be an administrator, and the gift to mentor others. 4. The total life stewardship consultant would work with churches not only to raise finances for buildings but to help them make choices about the wise use of present and planned facilities. They would help churches to become ecologically friendly and practice wise stewardship of all of their resources. They might also lead a church to provide microloans to help people in their community establish their own businesses, improving their finances and feelings of self-worth. 5. An itinerant theological educator would be a trained scholar who taught in a number of settings—perhaps as an adjunct professor for several theological institutions or colleges, teaching both onsite and online courses. One of the roles that this person might assume as part of his or her mixture of assignments would be as theologian-in-residence in a local congregation. In this setting, the educator would assist church members to have a deeper appreciation of the Bible, Christian traditions, and their doctrinal commitments. He or she might also tutor staff ministers or minister-in-training in theological disciplines. 6. The Christian formation networker would provide resources, training, and consulting for several congregations as they seek to nurture members in discipleship. This person would not only be a practitioner but a skilled teacher and mentor. Using the Internet, they could provide training opportunities to several congregations at one time and be available to church leaders and members even when they were not on-site. 7. The itinerant pastoral counselor would provide therapy for clients in a number of settings—in shopping center meeting rooms, office conference rooms, apartment complex common areas, church classrooms, coffee shops, etc. They would go to the people, setting appointments with clients where they live, work, and shop. They would be compensated for their time through a mixture of client fees, grants from foundations, and contributions from churches. 8. 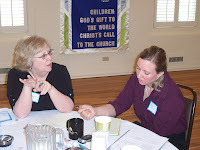 The mentor/coach would provide personal, professional and relational development for clergy and lay leaders. Every ministry leader needs a mentor at the beginning of his or her ministry and can benefit from a coaching relationship throughout their ministries. The mentor/coach would visit with the clergy person in their place of ministry from time to time but would most often meet with the protégé/client by Skype or telephone, making themselves available not only at scheduled times but whenever needed. As you probably realize after reading this list, some of these vocations already exist or are rapidly emerging as viable ministry roles. As we wrestle with the challenge of being the body of Christ in the 21st century, such roles may become very important in the next decade. 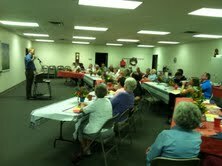 This past Wednesday night, I was part of an adult Sunday School leaders training event at our church. This was the kick-off for the Sunday School year. I don’t know how the Sunday morning Bible study is going in your church, but this meeting gave me hope for the viability of this venerable institution in our church. Why? Here are a few reasons. Two other leaders are working on launching a new class that will take both theological reflection and life application seriously. They are excited about trying something new in Bible study in our setting and involving others in this endeavor. Other leaders shared moving stories about the ministries that their classes have provided to members in times of stress and loss. 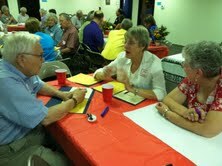 Some good ideas were presented about inviting new participants into Bible study. Even so, there was awareness during the discussion that each class could improve in some areas, and they were willing to pursue these opportunities for growth. Perhaps the most interesting part of the night was a presentation by our pastor, Noel Schoonmaker, about the importance of Sunday school in developing disciples, promoting fellowship, and reaching out to the unaffiliated. His comments were fresh and based on his personal experiences of being blessed through Sunday morning Bible study. He even shared a quote from deconstructionist philosopher Jacques Derrida on the tension between community and openness to the other. And several participants knew who Derrida was! An interesting Sunday School meeting indeed. “As many of you as were baptized into Christ have clothed yourself with Christ. There is no longer Jew or Greek, there is no longer slave or free, there is no longer male and female; for all of you are one in Christ Jesus” (Galatians 3:27-28). As I approach a birthday this week, I have been thinking about a number of family, personal, and professional milestones. Some were very positive experiences, some were bittersweet, and some were disappointing. One of the things that I am disappointed about was my failure to stand up for women in ministry early in my ministry. Although I always encouraged everyone—male and female—to discover and exercise their gifts and abilities through the church and campus ministry, there were some times when I faltered. One was in discouraging women to take the top leadership roles in our campus organization. Of course, during that time, I did not know any women who were ordained or who were pastors of congregations. I did not know any women who were seminary professors except in areas such as music ministry or religious education. I was immersed in my culture and was trying to preserve what I knew. This began to change about 1980. We joined a church with women deacons. Several women I knew through campus ministry were seeking ordination. Others were taking “non-traditional” leadership roles in seminaries and other institutions. I also came to realize that denying women their rightful place in the church was one of the agenda items of those leading the “conservative resurgence” in the Southern Baptist Convention. While working on a Baptist college campus from 1980 to 1984, I actively encouraged young women leaders to be open to pursuing their ministry goals in spite of conservative opposition. We were able to bring several women who were leaders in ministry to speak in chapel services before the entire student body. We even saw a woman elected as president of the campus ministerial association for the first time. During my time working with a state Baptist convention, I actively sought out gifted women leaders to work on college campuses. None of these were ordained, but the very fact that they were involved in leading collegiate programs that included both men and women was threatening to some in administrative positions. One of the primary reasons I knew that my time with the state convention was drawing to a close was an awareness that the young women who had been nurtured in our collegiate ministry and who were then seeking ordination would be never have the opportunity to be employed by convention. Some argued with me that ordination was not important, but I was fully aware that convention and location advisory boards were always pleased to hear that a candidate for a position was ordained—but only if that person was male. 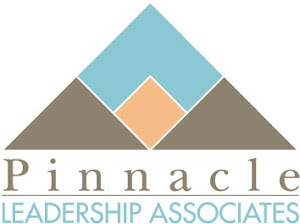 Through my work with the Tennessee Cooperative Baptist Fellowship, Pinnacle Leadership Associates, and Central Baptist Theological Seminary, I have had the opportunity to work with and learn from a number of gifted women. Although some affirm that the roles that women now play in such organizations show how far we have come, I encourage them to face reality—we have not turned the corner yet. Until women are considered for all places of leadership in the local congregation as well as denominational agencies and institutions, we still have much to do. I finally woke up and saw the reality. I hope others will as well. Alan Roxburgh is a leader in the missional church movement. He is not only a practitioner, coach, and conference leader but he is also an engaging writer on the subject. In Introducing the Missional Church: What It Is, Why It Matters, How to Become One, he has joined colleague Scott Boren to provide a simple primer on the missional church for readers new to the subject. Roxburgh and Boren address three primary concepts in the book. First, what does it mean to have a missional imagination, asking a different set of questions as one seeks to grapple with the current state of the church? Second, what are the key theological considerations of the missional conversation? Third, how can a congregation embark on the journey of becoming missional? The first section provides a good introduction to the shift in paradigms necessary to understand the need for a missional church. Using many biblical and historical examples, the authors help us to understand the opportunity to adopt a different mindset in order to become the People of God in our contemporary setting. I found the second section on the three missional conversations most helpful. Roxburgh and Boren present three theological concepts underlying the missional church idea—consider your context as a mission field, recognize that the mission is God’s and not the church’s, and become a contrast community that is a sign of the Kingdom of God. I have heard Roxburgh say many times, “It’s about God and not the church.” The church is intended to be the People of God placed in a particular context as a witness to God’s dream for the world.” The missional conversation is about God and not the church. The four chapters devoted to the missional conversation are the meat of the book. The final section presents an introduction to Roxburgh and Boren’s process for becoming a missional church. They are careful to emphasize that this is “a” process and not “the” process for this journey. They are committed to the idea that “the Spirit of God is among the people of God” and is the most important source of guidance and insight toward becoming missional. Although the final section is helpful, it primarily points toward resources that the authors provide in their training and consulting work. I recommend the book as a good introduction to the lay person or minister who knows little about the missional church movement. Not only a new perspective but a new understanding—in reality, a conversion experience--is needed for a church to be God’s people today. One of the challenges that many pastors face is working with and leading other ministerial staff. This is one of those skills that are rarely addressed in seminary, so it is usually learned by trial and error. Help is available in a new book by Alan Rudnick from Judson Press. In The Workof the Associate Pastor, Rudnick (a former associate himself) seeks to provide “insight and reflection upon the ministry specialty of associate pasturing.” He includes all specialize staff ministry—youth, education, worship, etc.—in this category. I had the opportunity to ask Rudnick some questions about his book, and I share those questions and his responses in this blog. After experiencing several positive ministry relationships with senior pastors, I found myself in a new church as an associate pastor and I was frustrated. It was difficult to work with a micromanaging senior pastor. He wanted to manage just about ever aspect of my ministry: who I would use for leaders, what resources to use, how to run retreats, and how to even position my hands during communion. I wanted to resolve our different approaches with a book on associate pastor ministry. As I looked for a resource, nothing presented a perspective of a shared ministry relationship. Most associate pastor books see the associate as the "second chair" and not co-equal workers of the Gospel. After I left that church, I decided to write a book from a completely different perspective of associate minister work. Anyone who deals or comes in contact with an associate minister or pastor, youth minister, youth director, education minister, administrative pastor, or just about any supporting ministry role in the church. I include directors and program staff in the book to help churches see them as ministers, too. Of course, senior pastors and staff relation committees who deal directly with associate pastors should read the book. Why do you try to avoid using the "second chair" image in describing the ministry of an associate pastor? Having spent time around the church music world, I know the weighted dynamics behind the concept of "first" and "second". There is a type of competition that exists. Books that employ the "second chair" image often paint a picture in which the second chair is exactly that, second. The first is better. That type of power dynamic has led to many short term associate pastorates. I make the case that just as Paul called his associates (for lack of a better term) "co-workers" in the Gospel, we should do the same. Paul saw his companions as equals and not in a first-second relationship. What do you think is the most fulfilling part of being an associate pastor? First, being able to focus on a specific ministry area. Senior and solo pastors have to be gifted in a broad range of skills. Associates often focus on education, counseling, youth, children or music. I miss the days that I slept soundly at night not worrying about the budget, membership numbers, or congregational conflict. Second, being with people. An associate can spend more amounts of time and energy investing in a smaller group of people. When I was an associate, I was able to create a small group youth ministry with parents and leaders in the church who I had direct relationships with. It was very fulfilling. How can seminaries and theological schools help in encouraging and equipping associate pastors--both full-time associates and part-time? The key here is that seminaries and theological schools need to stop thinking and offering degrees with solo pastors in mind. Fortunately, seminaries are slowly realizing that people who want a seminary education are not specifically solo pastors. Offering more classes in leadership, staff dynamics, and church administration will help. And of course, offering courses with associates in mind. Rudnick's helpful book is available both in paperback and as an e-book. Although we shrink from talking about pastors as CEOs, a recent survey of over 200 CEOs has some implications for pastoral leaders. The 2013 Executive Coaching Survey poll was conducted by Stanford University and The Miles Group. The study inquired about the kind of leadership advice that CEOs and their top executives are–and aren’t–receiving, and the skills that are being targeted for improvement. 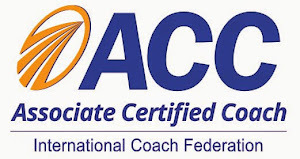 The emphasis, of course, was on identifying the need for and encouraging executive coaching. Although this was a survey of business leaders, we should consider what we can learn from this about the commonalities and differences of coaching ministers. Those who coach pastors realize that most ministerial leaders are usually competent in the relational skills. Their ability to motivate, empathize with, and persuade people often led them to Christian ministry. My experience, however, is that most pastors could use coaching around maximizing both “hard people skills” and “soft people skills” in their settings. Challenges in a particular setting may require a minister to revisit how he or she relates to people in the congregation. Those relational skills that drew him or her into ministry may need to be revisited, encouraged, or refocused for a particular setting. A coach can help with that process. The concerns that I find myself coaching ministers around most often are time management, team building and staff development, leadership, mentoring and supervision, and spiritual development. These topics usually require a mixture of “hard” and “soft” people skills, learning how to balance the two. The bottom line is that leaders realize that they need an objective, knowledgeable coach to help them to become more effective. The challenge for the CEOs surveyed is to ask for that support. Two-thirds say they need it but don't ask for it. For one reason or another, they pull back from seeking coaching. The same is certainly true of the majority of pastors. Ministers often resist seeking personal assistance—whether it be counseling, mentoring, or coaching—because they fear being seen by their parishioners as inadequate in some way. Both types of leaders often miss the opportunity to be more effective because they do not seek coaching. Isn’t it time for a change? When I was a child growing up on the Gulf Coast, the best place to be on a hot summer afternoon was at the movies. They were air conditioned and usually offered a double feature, so it was comfortable and my parents or grandparents were happy to park me somewhere for three hours and get some other things done. Most of these films, of course, were what we call “B” movies—cheaply made with low production values and second-tier actors and actresses. There were exceptions, but most of these films were just an excuse to disengage in a comfortable setting and stay out of trouble. I have been to eleven movies so far this year. Given that I have a teenage grandson and several younger grand-children (including a great-grandchild) who live locally, most of the movies that I have seen are not art house classics. What has struck me, however, is that the majority of these films are really “B” movies but with multimillion dollar budgets and performers who have box office credibility. Although I am not a movie critic, there are several observations I can make about these films. First, most have no clear vision of what they are trying to do. In the latest incarnation of “The Lone Ranger,” there seemed to be no clear idea of what the creators were trying to accomplish. Was this a western, a comedy, or what? The driving idea seemed to be to parody an iconic American legend, but there were pretentious sub-plots about honoring noble Native Americans and deriding capitalism. The lack of vision was covered up with explosions, action sequences on trains, and spectacular scenery. It was a mess. Second, these movies seem to lack a moral center. There are occasional allusions to “big ideas.” The hero of “World War Z” (a zombie movie) is motivated by love of family. “Star Trek Two” is all about family, as well, although not a biological one. In “Monsters University,” Sully learns about humility and hard work. There other positive examples, but most of these are just ways to make us care about the cast who will soon be placed in mortal danger. There is no feeling that these individuals are experiencing any internal struggles and, of course, there is little time to do so because they must move on to the next action sequence or risk losing the attention of the audience. Third, for some of these films, it was clear that no one was watching the checkbook. Movies today, especially summer “block busters”, are predicated on the idea of investing big bucks in big explosions and big computer graphics in order to generate a big box office. In a number of this year’s films, they spent the money, but the movie was a black hole that pulled in cash but not viewers. Some examples from this year are the previously mentioned “The Lone Ranger,” “Pacific Rim,” and “White House Down.” They may do well overseas, on DVD, and in video streaming, but the initial box office showings were below expectations. An exception to all of the above is “Now You See Me,” a sleeper hit that is really a fun date movie. In fact, my wife and I saw it together. This ensemble movie about magicians who become “Robin Hoods” to exact justice is well-written with solid performances and a bit of suspense. There are some spectacular special effects but they advance the storyline and never take away from the actors. Although I am not typically a Tom Cruise fan, I also liked his movie “Oblivion,” a post-apocalyptic science fiction tale. The hero grappled with significant personal moral issues, the premise was interesting, and the extensive effects were not distracting. Some may find it hard to follow, but the twists and turns will satisfy most viewers.